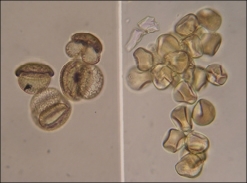 The SP550C Comparison Microscope is an affordable option for applications that require detailed comparison of slide preparations, or identification of objects against reference material. 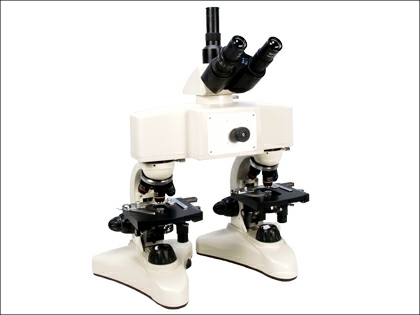 The instrument consists of two microscope stands sharing an optical bridge with a central trinocular head. Each stand has a quadruple nosepiece that can be equipped with a set of achromatic or plan achromatic DIN standard objectives depending on choice. Both stands are identical with large area mechanical stages and drop down co-axial controls. 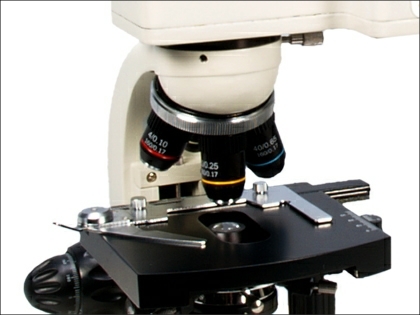 Double vernier scales allows the exact position of key features to e recorded. The substage consists of 1.25 N.A. Abbe condensers that can be centred with iris diaphragm and filter carrier. The low position coaxial focus controls have fine focus graduation markings that allow depth measurement. 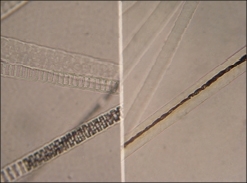 The comparison ridge allows a sweep between the images produced by each microscope stand. 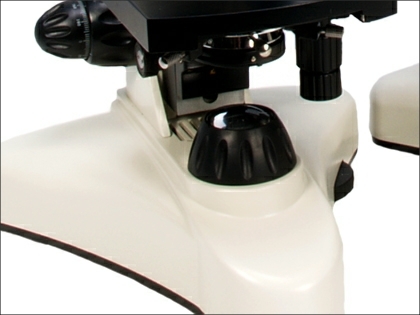 A single control is mounted centrally on the bridge and the image sweep is controlled by its rotation. This is fully variable showing either the maximum of the right hand image or the left, with the central position showing the two images side by side. Alternatively the images may be superimposed. The trinocular head has widefield x10 eyepieces fitted as standard and the eyetubes have interocular and dioptric adjustment. The trinocular tube has a length adjusting collar to allow the camera and binocular images to be adjusted to give common focus. 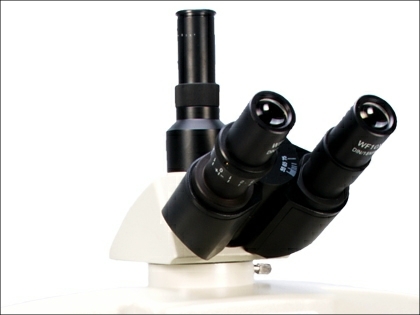 The microscope can be equipped with either CCTV or digital camera options and the appropriate adapters are available. 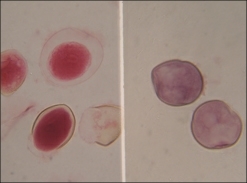 The light path allows either 100% to the binocular eyetubes or 80% to the camera and 20% to the binocular eyetubes. The Brunel SP550C can therefore be used as a ‘real time’ teaching aide with both analogue and digital CCTV units, and high resolution still digital images can be produced with still compact and SLR cameras. Each stand has a 6 volt 20 watt quartz halogen light source that is individually rheostat controlled. The balance of lighting intensity and the refraction introduced by the substage iris can be adjusted and balanced to give comparable images with the split screen.